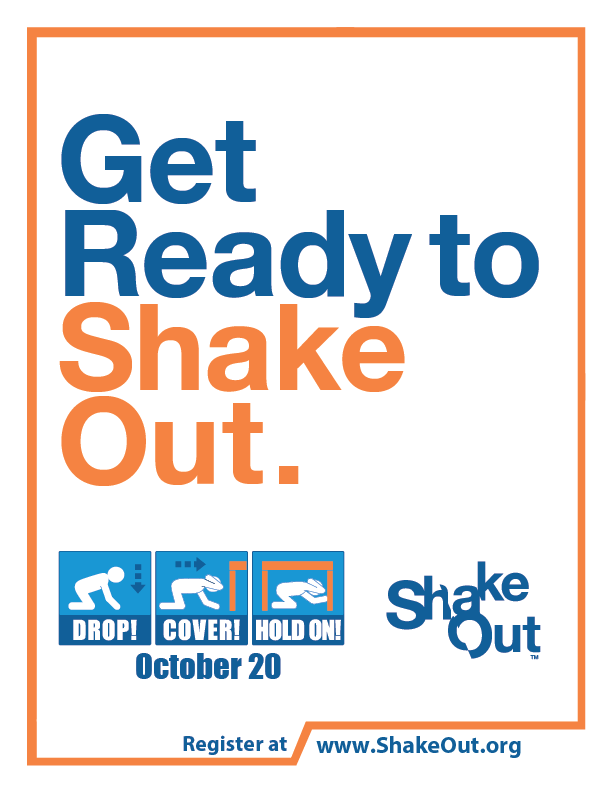 The materials below on this page are available to you or your organization to support your participation in the ShakeOut and to promote awareness and preparedness. 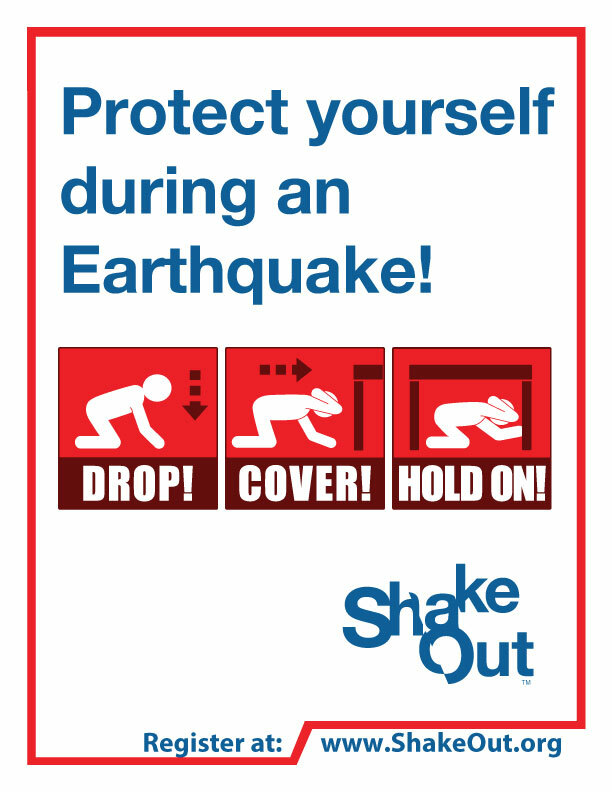 Prepare financially for earthquake damage with earthquake insurance from the California Earthquake Authority and by strengthening your home. 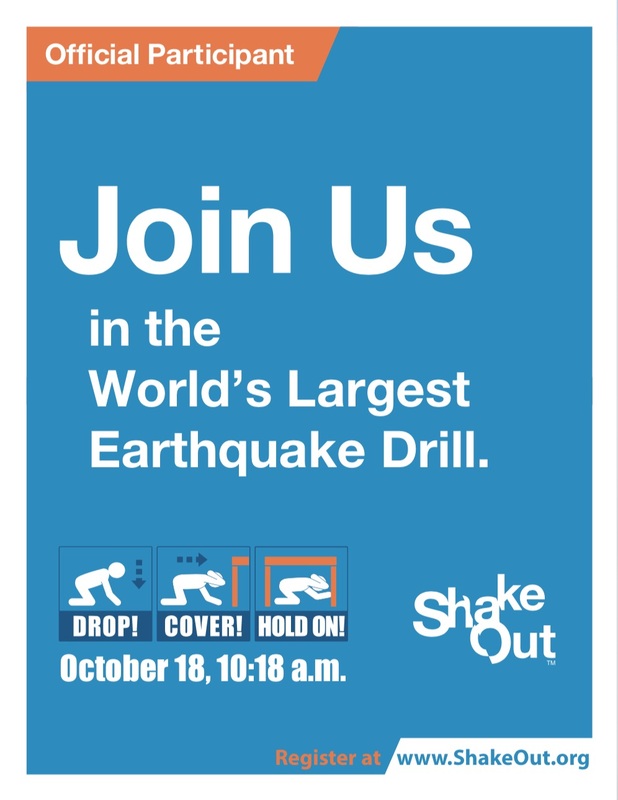 Visit TsunamiZone.org/california to learn more about how you can get involved in California's Tsunami Preparedness Week! Audio and Video "Drill Broadcast" recordings (in English and Spanish) have been created to provide instructions during your drill. 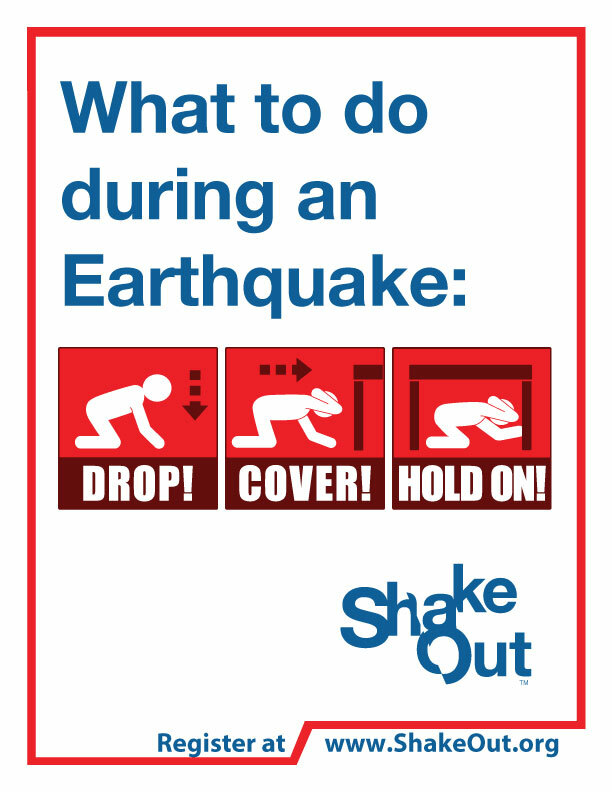 Other videos useful for understanding or promoting the ShakeOut. 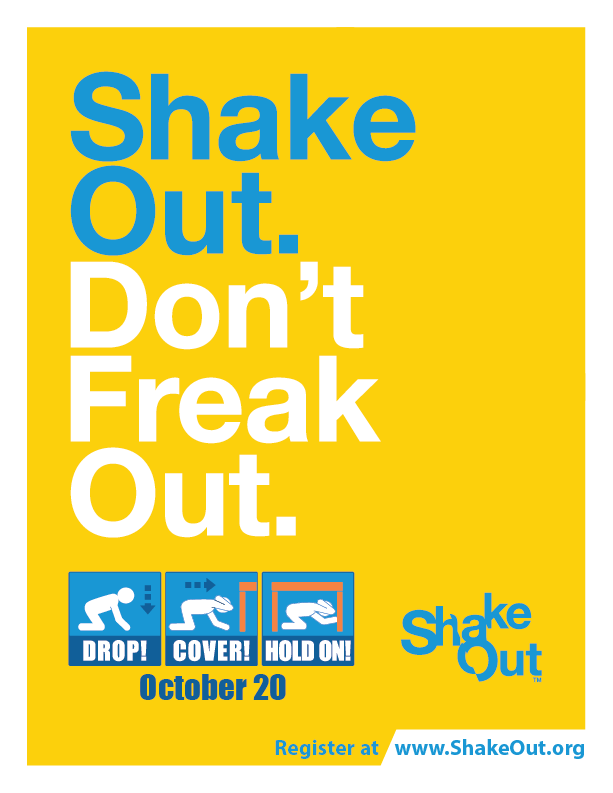 ShakeOut press release and advisory templates, social media content, sample resolution draft, additional videos and more are available at ShakeOut.org/messaging in English and Spanish. 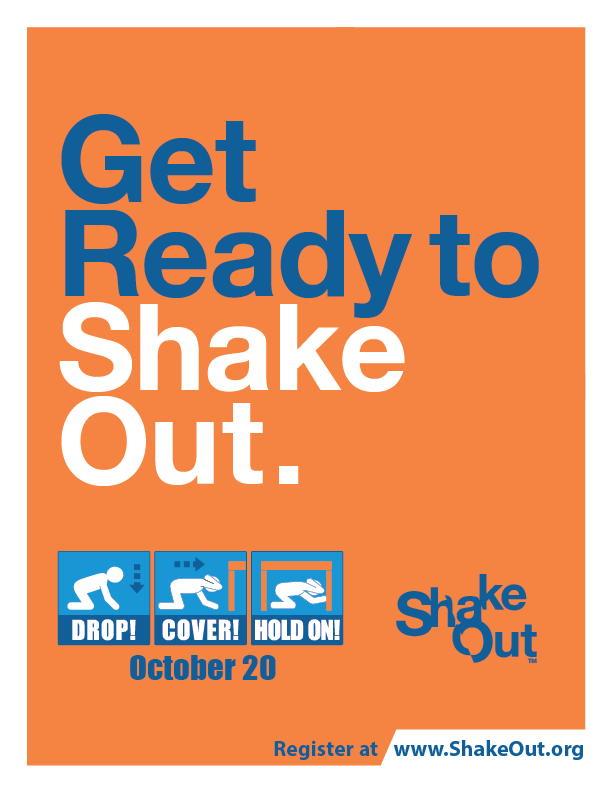 The ShakeOut Shop has been created as a service to ShakeOut participants who are requesting t-shirts, buttons, stickers, and other products to commemorate their drills, spread preparedness messages, and encourage others to participate. Soon you will also be able to order posters and flyers with your logo or information printed on them. You can purchase emergency preparedness items and you will also receive free items and informational materials. 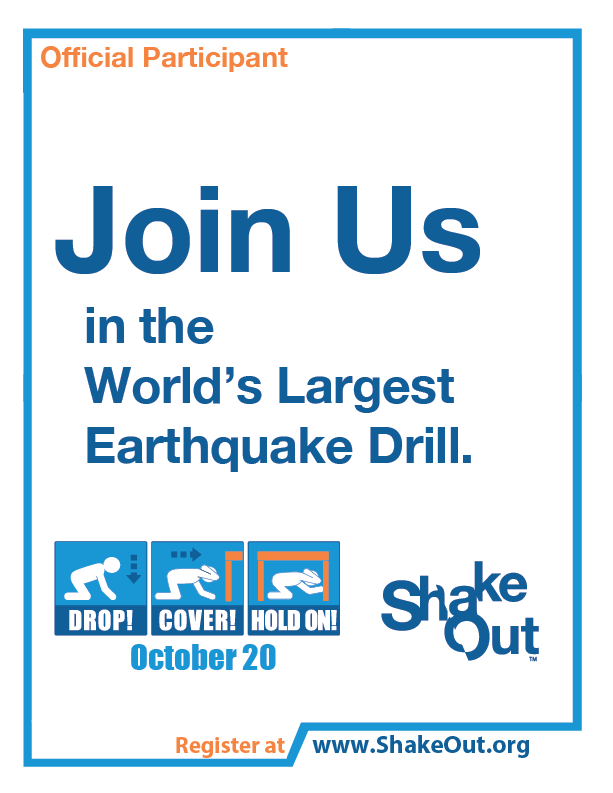 Proceeds from each sale go to support increasing participation in the ShakeOut and preparedness for earthquakes! 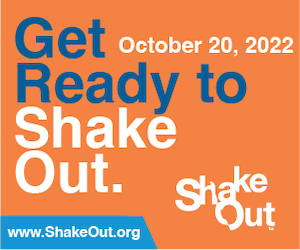 In addition, Non-Profit organizations, Schools, Neighborhood Councils, and Agencies are encouraged to partner with ShakeOut as a fundraiser for your own organization! 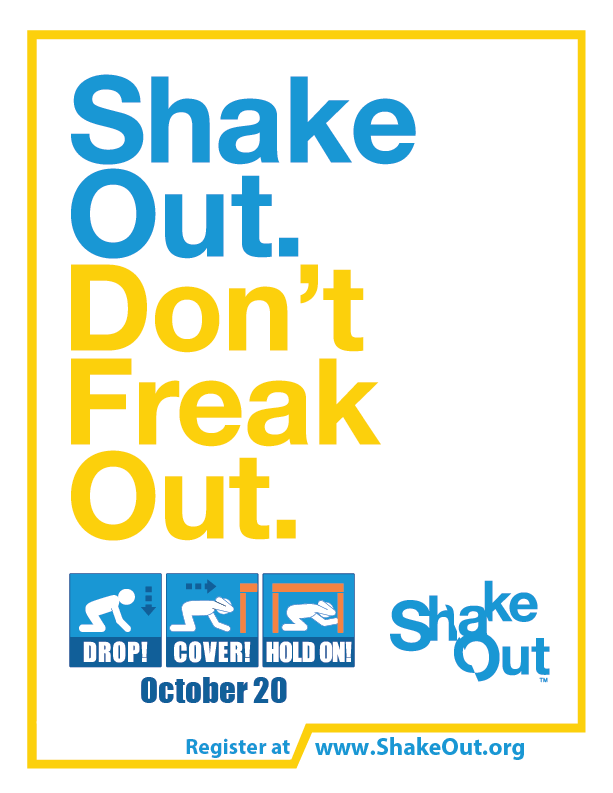 By becoming a ShakeOutShop Affiliate, your organization will receive ten percent (10%) of the total order (not including sales tax and shipping costs) of all merchandise available through the ShakeOut Shop (including ShakeOut merchandise and all preparedness supplies through MorePrepared.com).